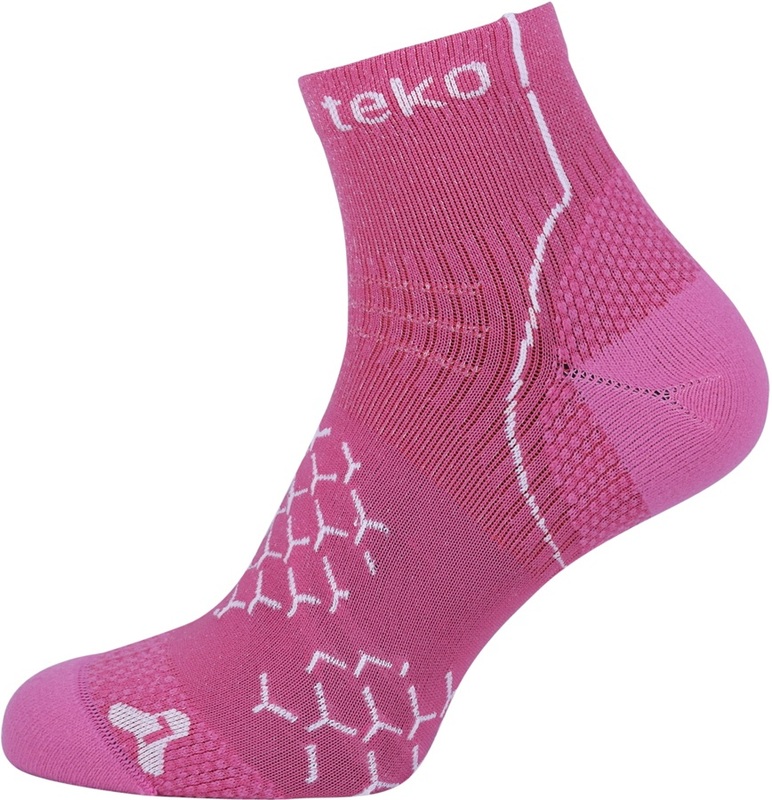 The Adrenalin socks are part of Teko's Evapor8 ultralight range which is produced from recycled fishing nets and other waste materials recovered from all over the world. These materials are regenerated in an ECONYL plant in Slovenia creating 100% regenerated Nylon for reuse in textiles. Following the important three R's: Reduce, Reuse and Recycle, each pair purchased is a step in the right direction and a conscious decision to invest in the world's well-being. The Adrenalin socks are a light weight cushioned minicrew with a sleek, snug design and next to skin comfort. Super fine microfibres in the sock are engineered to wick away moisture from the foot and evapor8 quickly which is ideal for dynamic days out running, gym work or everyday wear. They are easy to care for and from an eco-friendly source.